The Wyoming Monuments and Markers program handbook guides the procedures for administering the program and contains all of the standards used by the program in developing and approving signage. The handbook contains a variety of information from the history of the program to how to complete a nomination application for new signage. The handbook is meant to be a reference for both SHPO staff and the public. 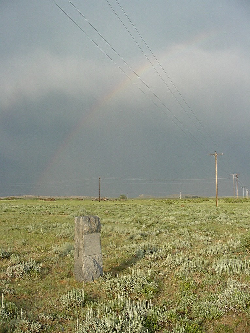 * The Wyoming Monuments and Markers program is continually evolving, and with that evolution, frequent updates will be made to this document.